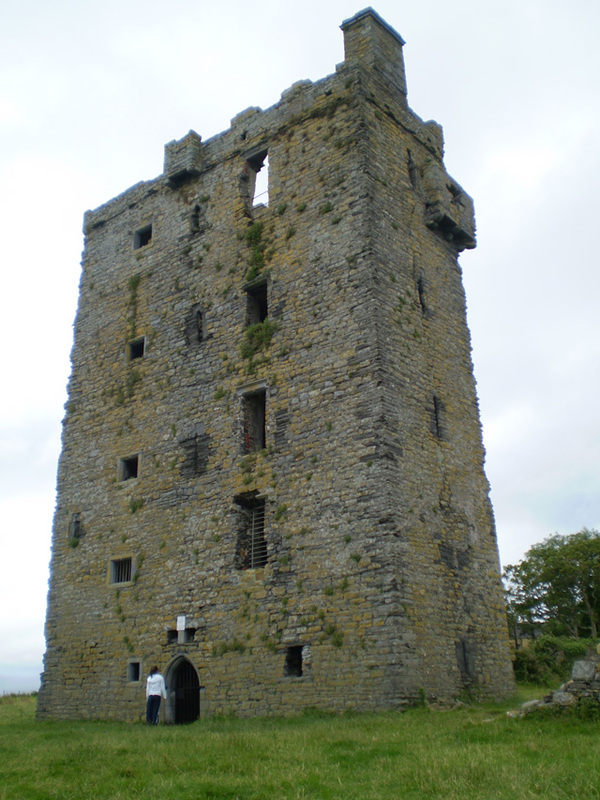 Notes: Carrigaholt Castle was built in about 1480 by the McMahons, chiefs of the Corcabascin Peninsula. It stands at the end of a fishing pier overlooking the Shannon Estuary and the harbour. This is a tall, well-preserved five storey tower house. It has a fiery and colourful history which would fill volumes. The castle was occupied by Teige Caech "the short sighted" McMahon in September 1588 when seven ships of the Spanish Armada anchored at Carrigaholt. Although aid was refused by the McMahons (who are descendants of Mathgamain mac Cennetig), the castle was nonetheless unsuccessfully besieged shortly afterwards by Sir Conyers Clifford (Governor of Connaught). The following year the renegade fourth Earl of Thomond (Donagh O'Brien) captured it after a four-day siege and, in breach of the surrender terms, hanged all the defenders. Ownership then passed to the Earl's brother Donal O'Brien, who was responsible for inserting many of the castle's windows as well as the fireplace on the fifth floor, which bears the date 1603. Donal's grandson was the celebrated third Viscount Clare who resided at Carrigaholt and raised a regiment of horses known as the "Yellow Dragoons" for the House of Stuart King James II of England's armies. After the forfeiture of his extensive 230 km2 (57,000-acre) estate by the Williamites, the castle was acquired by the Burton family. The castle today is under the care of the Office of Public Works. All that remains is a shell of its former nobility. The Burton Family were the last inhabitants and left it in the late 19th century.